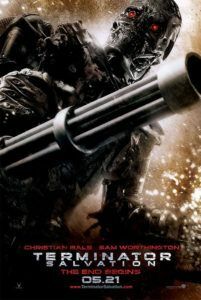 The fourth film in the series, Terminator: Salvation is exactly what you’d expect from a blockbuster franchise desperate to revalidate itself. Whereas the previous entries were R-rated, this sequel cuts down on gore and swears to make the PG-13 cut, thus expanding its demographic and reaching that crucial teen market. Fresh talent makes up the cast and newfangled special effects render the futuristic action. Every necessary step was taken by the programmed logic of the Hollywood Machine, which spared no expense to make this the biggest and loudest Terminator yet. Charlie’s Angels director McG—yes, just McG, short for McGinty, his middle name—takes the helm and follows Hollywood’s current Franchise Reinvention Formula, complete with a darker atmosphere, gravitas-laden storytelling, and Christian Bale. Word is they even brought in The Dark Knight scribe Jonathan Nolan to give an uncredited script consultation. But everyone involved has taken James Cameron’s original scenario, wherein good humans battle evil robots from the future, for granted. None of that expert minimalism exists in the new film. The underground human resistance takes orders from the military-minded General Ashdown (Michael Ironside), safe in his submarine headquarters. Command has developed a new way of defeating the machines with a high-pitch frequency, and Ashdown intends to rush the San Francisco base of the evil computer Skynet using this device. Except, doing so will kill the hundreds of human captives the Terminators have collected, among them Reese. Meanwhile, Connor runs his own Maquis cell and conducts a pseudo-fireside chat on the radio each night to inspire hope in survivors. When he realizes that harvested humans will die in Ashdown’s plan, including his future father from the past (see The Terminator), Connor asks everyone to stand down from their attack and embarks on a personal mission to destroy Skynet. Bale’s (notorious) severity makes for a believable John Connor bent on saving humankind, but the story doesn’t allow the character to be anything more than walking, talking hatred of machines. John barely shares a loving moment with his pregnant wife, Kate (Bryce Dallas Howard), and her evident pregnancy is simply assumed by the viewer—never a “how’s your back, Honey” or “gee, I sure love you” moment. The plot is oblivious to her pregnancy, so we must wonder what purpose it serves to the story. The answer: None. Connor is more concerned with saving himself, and thus the future, which is sort of noble, but also self-serving and unsympathetic. What exactly does John do in the future that’s so special? Can no one else do what he does? Since 1984, everyone’s been talking about John Connor’s greatness, but we have yet to see what makes him this Grand Messiah. Will we ever? Creator of the original Terminator design, effects guru Stan Winston died last summer and his absence here is painfully clear. In place of Winston’s metallic skeleton demonstrating the coldness of the machines, we have actors in bulky robot suits who move like, well, actors in bulky robot suits. Winston must be rolling in his grave at the lack of ingenuity. 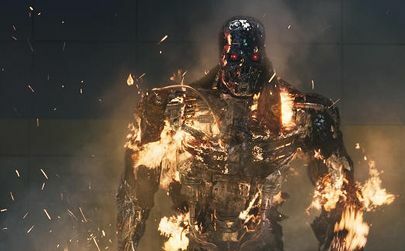 Terminators not made of bad costuming are rendered by computer effects. 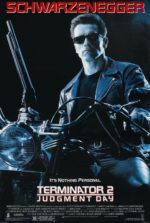 Take the “appearance” by Arnold Schwarzenegger, reprising his role as the original Terminator, which is not Schwarzenegger at all, but rather CGI animators putting his face on a much, much younger actor’s body. Notice how the Schwarzenegger-thing is never completely lit, speaks no lines (not even “I’ll be back,” which Bale utters in a moment of cheesiness), and can only be seen in quick cuts. Undoubtedly, the “Governator” gave the filmmakers the okay to re-animate his likeness, because he couldn’t commit time to an actual performance. The effect is laughably bad. Watching Terminator: Salvation becomes a waiting game: Waiting for some semblance of emotional attachment to the characters; waiting for it to feel like a Terminator movie; waiting for that wowing effect that the other films achieve. Beyond appreciating the top-dollar production value, we keep waiting and remain unfulfilled. Stricken by plot holes and characters we’re indifferent to, the viewer is left aloof and uninvolved, zoning mindlessly into the action. 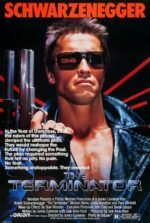 But if there’s one thing the Terminator franchise is good for, it’s mindless entertainment value. 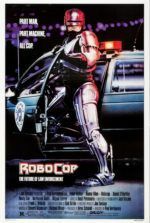 However, shouldn’t a movie about the last human survivors of a machine-ruled world contain all the human drama necessary to elicit a stark contrast between man and machine? Instead, this rather cold exercise contains a synthesized quality and feels like it was executed on autopilot.